Lobuche Peak, situated in the Khumbu region above the Lobuche village has two main peaks; Lobuche East (6,119 m) and Lobuche West (6,145 m). It is near to the world’s highest peak Mount Everest. The Lobuche Peak climbing we are going to discuss is the Lobuche East. The Lobuche East is an easier trekking peak and is often attempted a lot more frequently than the west peak. It is a moderately challenging peak and demands general technical climbing skill. We arrange your training on how to tie ropes, use an ice axe, and crampons. You will start your day at pre-dawn on the day of the final climb to the peak. You will have climbing experts to guide you along the way but it is essential that you are familiar with the use of your climbing equipment. 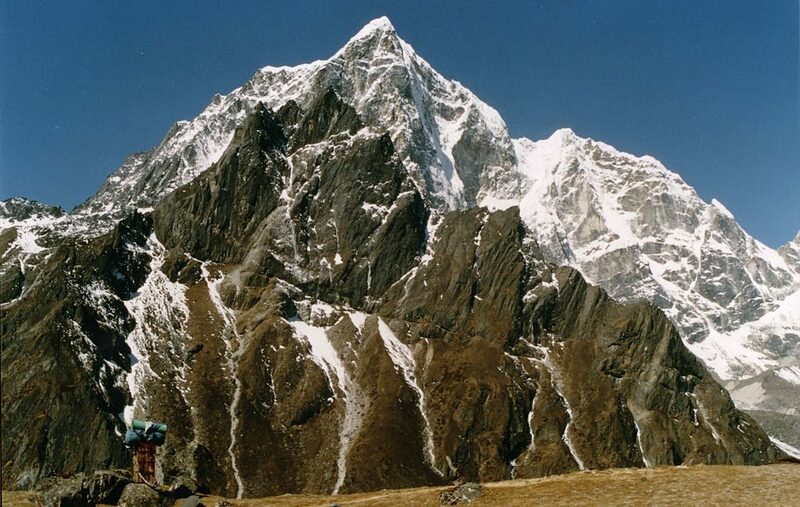 You can join this Lobuche Peak Climbing as an add-on to your Everest Base Camp trek. Or you can arrange it to be a single climbing adventure. Scenic mountain flight to Lukla from Kathmandu. Explore Namche Bazaar and experience the Sherpa culture and traditions. Visit Tengboche monastery, the largest monastery in the Khumbu region. Summit Lobuche East Peak at 6,119 m.
Catch the breathtaking views of the snow capped mountains from Lobuche peak like Everest, Pumori, Ama Dablam, and Lhotse. Welcome to Kathmandu, your adventure to the magnificent Himalayas starts here. One of our staff will be there to pick you up from the airport and transfer you to the hotel. You can either take a rest after your long flight or you can explore Kathmandu city. After breakfast at the hotel, our staff will meet you at the hotel and take you around the city for sightseeing. You will visit the UNESCO world heritage sites today. Some of the sites are the Swayambhunath stupa, Boudha Mahachaitya, Pashupatinath temple, and Patan Durbar Square. After the sightseeing, you will come to the hotel and start preparing for the trek tomorrow. Our staff will give you a last minute briefing of the trek. After breakfast today, you will have an early morning scenic flight to Lukla. 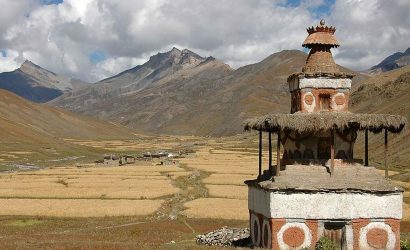 You will start your trek to Phakding with an easy walk through the Chaurikharka village. Further, you will walk downhill towards the Dudhkoshi Ghat (2,652M/8,700ft). You will spend the night here at Phakding. You can spend the rest of your time exploring Phakding. After breakfast at Phakding, you will begin your trek to Namche Bazaar, the biggest sherpa village in Nepal. The trail will lead you to Dudh Koshi River which you will cross via a suspension bridge. And from here you will trek for about 2 hours through a beautiful pine forest to get to Monjo. After some walking, you will reach the entrance of Sagarmatha National Park where you need to verify your trekking permits. From here you will trek downwards to Dudh Koshi river to get to Jorsale. After Jorsale, it's an uphill trek till you get to Namche, where you will get a glimpse of the majestic Mount Everest. Today is a rest day or acclimatization day for you. You can spend the day exploring Namche Bazaar and visit the Sherpa museum. This will give you an idea of the Sherpa culture and traditions or just shop for souvenirs. After breakfast, you will start your trek to Tengboche. After a short descend you will reach a riverside and after crossing the river you will trek uphill continuously till you reach your final destination. 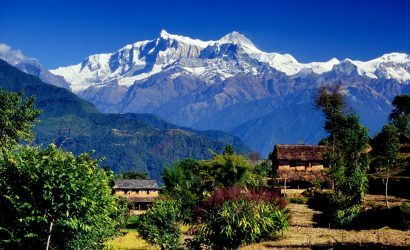 Tengboche is a beautiful village in the Everest region. The Tengboche monastery here is the biggest monastery in the entire Khumbu region. 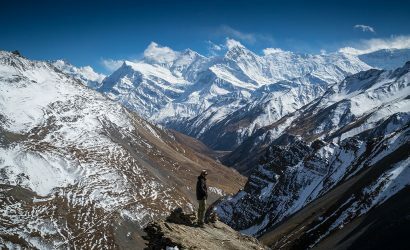 Breathtaking views of the Everest, Nuptse, Lhotse, Ama Dablam, Thamserku, and Kwangde are the highlights of today's trek. After your breakfast today, your trek starts with a walk through the rhododendron forest to Deboche. From here you will cross a bridge over the Imja Khola river and trek towards the Pangboche village. From here walk north to Pheriche or take the trail beneath the north face of Ama Dablam. From here the walk is pretty moderate as you enter the Imja Valley which brings you to the Lobuche river. Descend towards the river and begin the last and the steepest climb of the day to Dingboche. Today you will rest at Dingboche to adjust to the high altitude. You will also hike up to Dingboche Ri to get used to the high altitude faster. You will spend the night at a tea house in Dingboche. After breakfast today, you will start your trek towards Chhukung valley via Imja Khola valley. The trail is a gradual ascend to Chhukung. On the way, you will see scores of summer huts made for keeping livestock in summer. 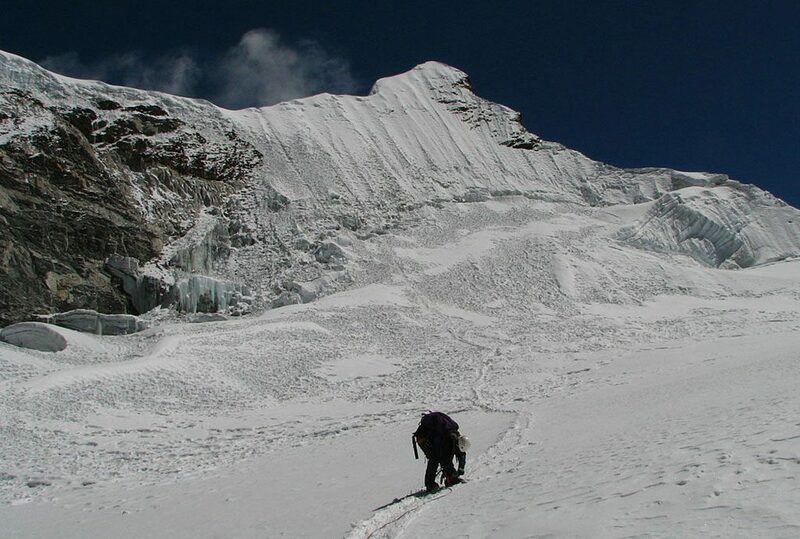 You will also enjoy the beautiful mountain view around the valley especially Lhotse's massive south wall. Spend the night at Chhukung. After breakfast today, you will trek towards the Lobuche Base Camp. 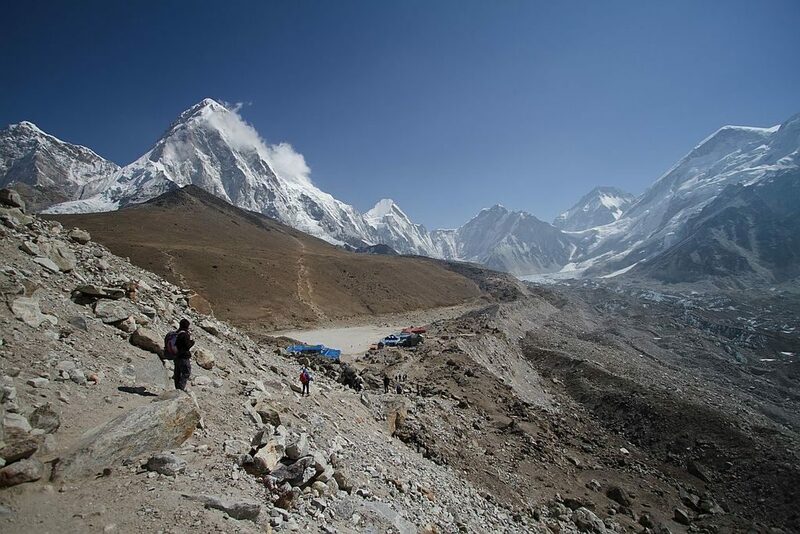 Today's trail takes you over the Kongma La Pass which drops down to Lobuche Base Camp. 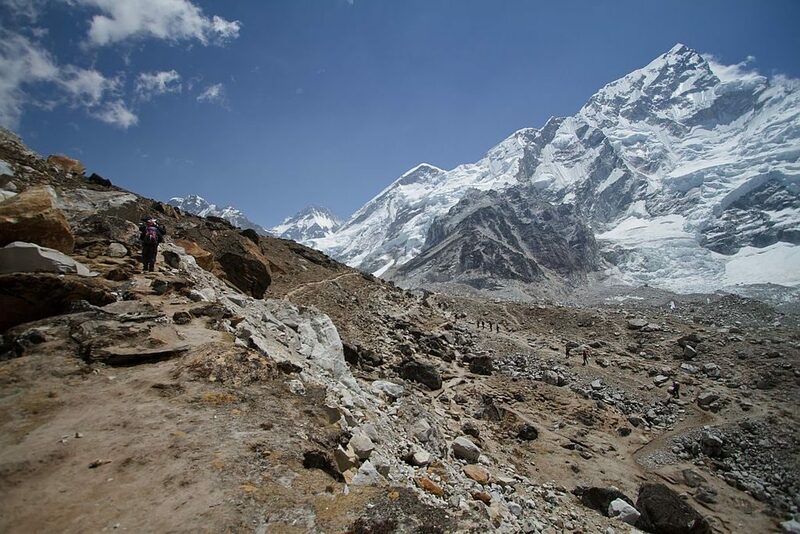 You will also cross the Khumbu glacier, which is mostly covered in rocks and boulders. It is about 5 hours of an uphill trek to get to the pass followed by a downhill trek to Lobuche Base Camp. Today is another day for acclimatization at the Base Camp. You will get amazing views of Ama Dablam, Cholatse, Pokalde, Thamserku, Kantega etc from here. The guides will further provide training on peak climbing techniques. This includes guidelines on using climbing gears. All this is to ensure you have a safe and enjoyable climb to the peak of Lobuche. After breakfast, you will make a hike from Lobuche Base Camp to the Lobuche high camp. You will hike on a rocky moraine path to reach the high camp, which is a 4-5 hours hike. 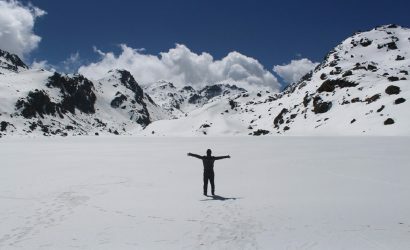 After reaching the high camp, you will accommodate on the camps. You can rest or take a stroll around the high camp. The guides will also run a last minute check on the trekking gears. You will have an early night today because you will start your climb to the Lobuche peak very early tomorrow. The much awaited day has arrived, you will finally summit the Lobuche Peak today! Your day starts earlier than the usual days today. After breakfast, you will begin your summit endeavor. Once you are on the Peak summit, you will get panoramic views of the mountains like Everest, Lhotse, Nuptse, Ama Dablam, Cholatse, Pumori etc. 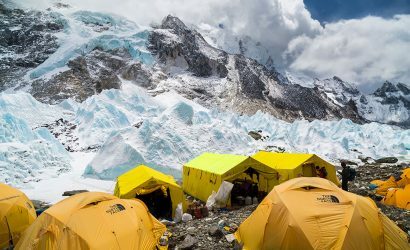 After spending some quality time at the peak taking pictures, enjoying and celebrating the climb victory you will trek back to the Base Camp again. After breakfast, you will trek downhill from the Base Camp to join the Everest Base Camp route at Lobuche. From Lobuche on descending to Pheriche, you will witness magnificent views of the Ama Dablam. And from Pheriche on the way to Pangboche, you will get views of the mountains like Pokalde, Thamserku, Kantega etc. You will spend the night at Pangboche. After breakfast, you will begin your trek to Namche Bazaar. The trail begins with a steep descent to the Imja Khola to cross the river and from here your trail will proceed further to the village Deboche. 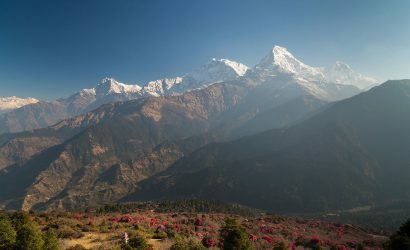 The trail will then ascend to a small village called Tengboche which offers amazing views of Ama Dablam and the summit of Mt. Everest. Here you can also visit the Tengboche monastery. You will then trek downhill to the Pungi Thenga village where the trail crosses the Dudh Koshi river. From here you will trek to Kyangjuma village. And then the rest of the trail to Namche is relatively flat offering dramatic views of the mountains. Today is your last day of trekking. Today's trekking route is the same as your first day of trekking. You will leave Namche Bazaar and trek downhill towards Monjo and Phakding. From Phakding it is an uphill trek to Lukla. From Lukla, you will take a scenic flight back to Kathmandu. Once in Kathmandu you can either take a rest or explore Kathmandu, buy souvenirs etc. Day 18: Transfer to International Airport for Departure. Today marks the last day of our trip to Nepal. Our staff will drop you to the airport as per your flight schedule.